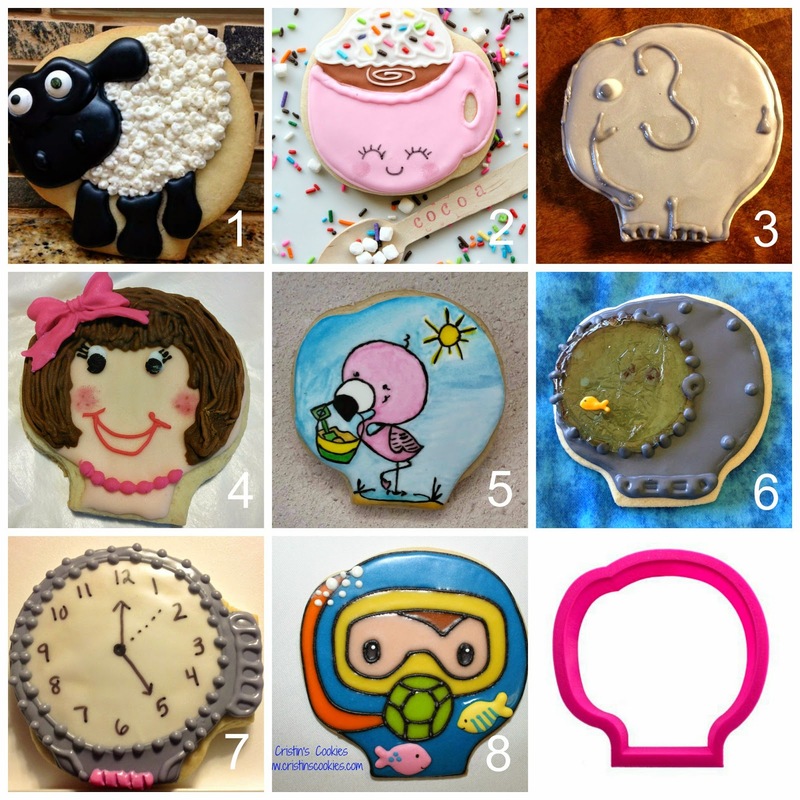 Cristin of Cristin's Cookies (her cookie is #8) made a cookie cutter and challenged other cookie decorators to come up with a decorated cookie using the "mystery" cutter. I turned the cutter every which way and came up with a couple of ideas, but settled on this cup of cocoa cookie. I can't wait to visit the sites of the other cookie decorators! Love your entry Sue! You always come up with such ingenious and adorable designs so it was really fun to see what you would come up with for this one! Thanks for playing along! Awww, thanks so much, Cristin! What a cool idea! I should try this with some of my own cookie cutters. :) Your cookies look amazing! Thank you! You should try it June, it's pretty fun! Aw, sheesh! This little cup of cocoa/teacup/coffee cup is just the sweetest! I love all that pink, the happy face, and the sprinkles! Great cutter vision, Sue! I really wish I could draw...those are awesome! Look at all of the creative ideas here! You all blow my mind with your amazig ideas and your amazig talent! WOW! 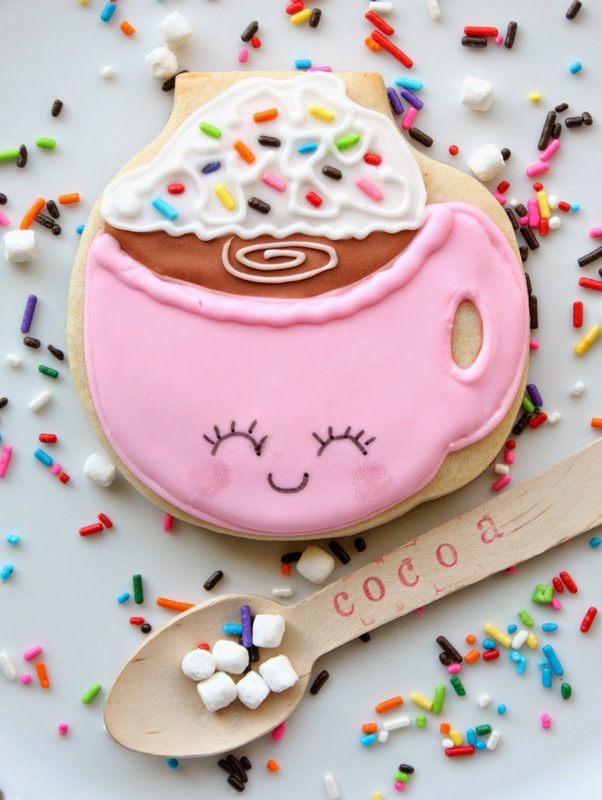 I've been MIA for awhile and I can't believe I've missed all your adorable cookie creations! These are so cute. Again, you amaze me!